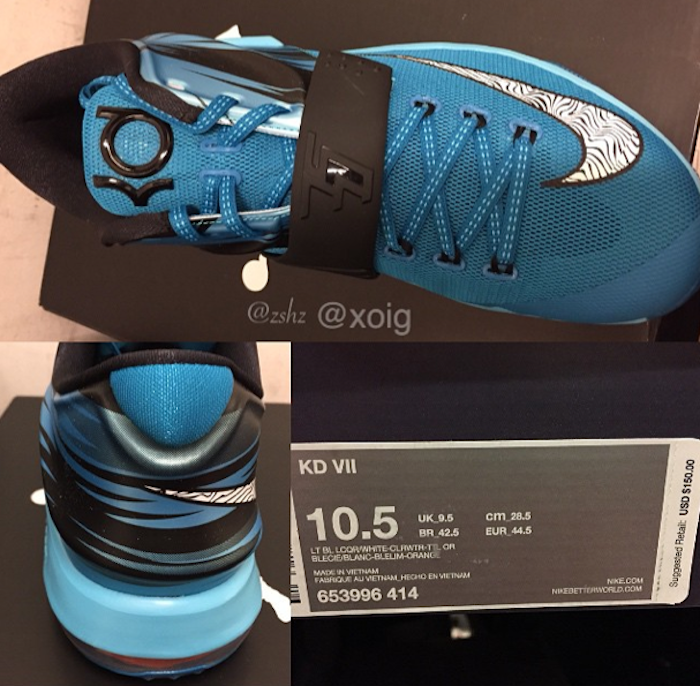 The Nike KD VII made lot’s of noise since it’s debut over the summer and now, The First KD VII to release in 2015 has surfaced. 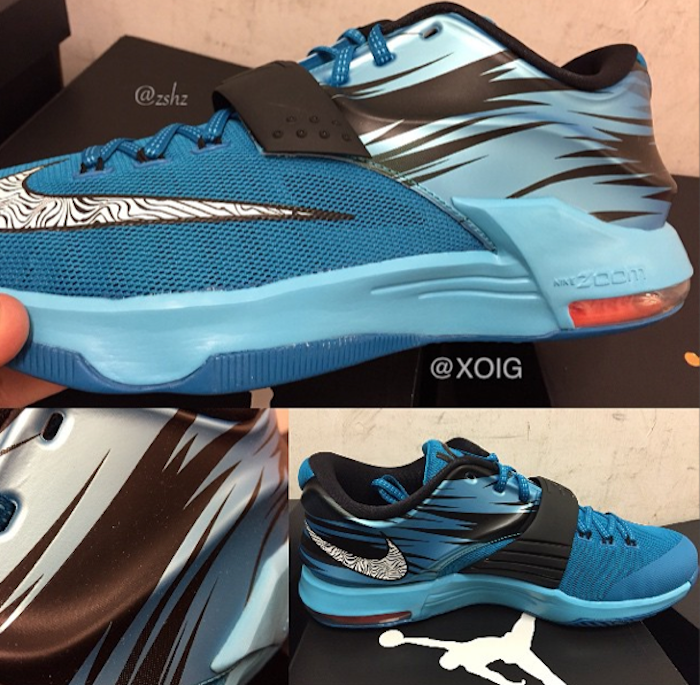 The KD VII “Clearwater” colorway is slated for January 15th, 2015 for $150 and features tons of details. 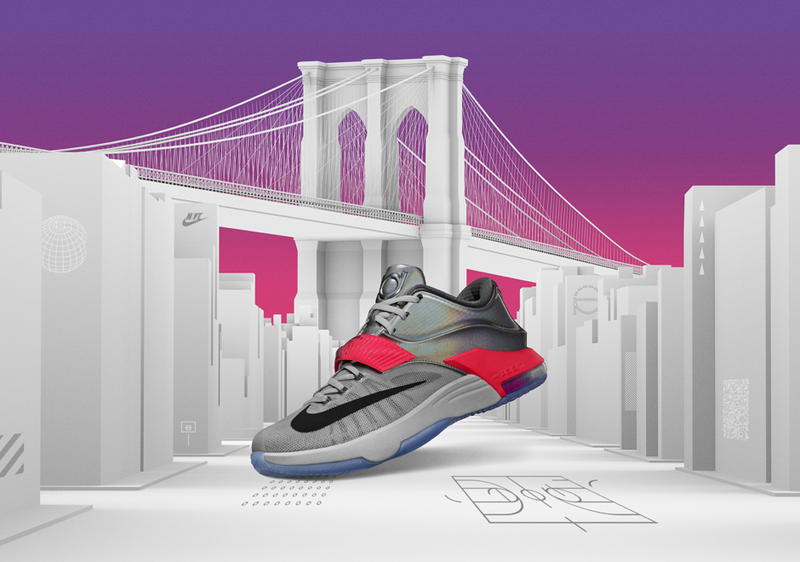 Featuring a Light Blue Lacquer Upper, the KD VII model is accented with Clear Water, Total Orange and White. Tonal laces give these KD VII’s an extra touch as well as the Black accents on the tongue and collar. 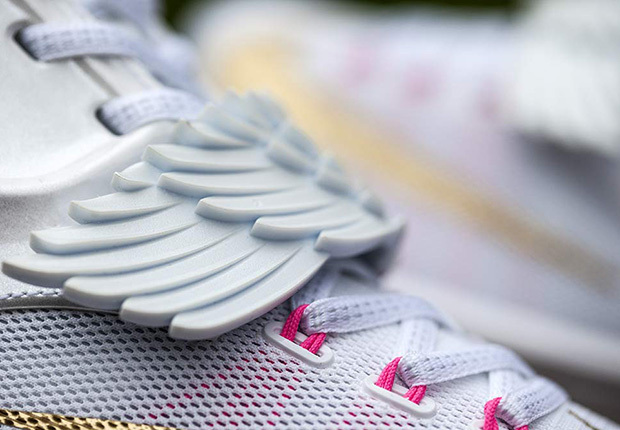 Extra details include graphics on the heel. Look out for these next month for a retail price of $150. Awesome!!! These are Dope!!! I mean Fresh!!! I might COP!!! A MUST HAVE!! !